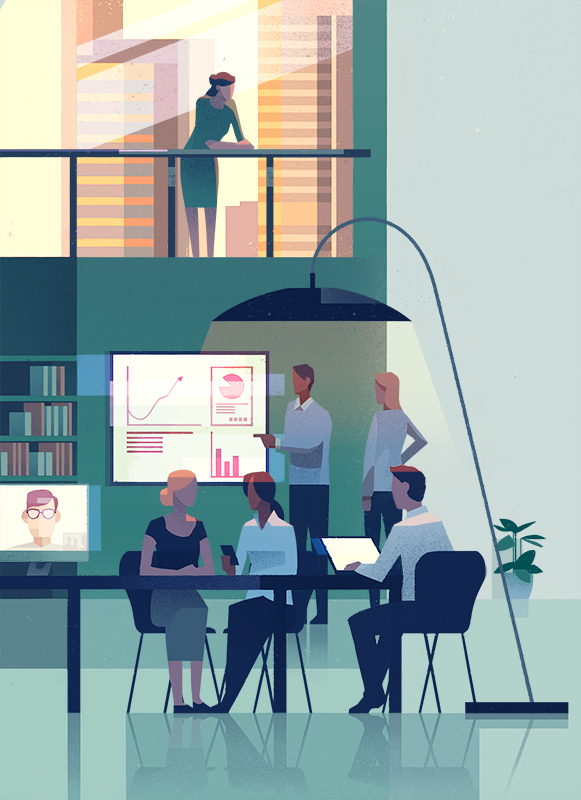 Mark Boardman worked with the team at Euromoney Learning Solutions to create a series of illustrations for their re-brand and new website. 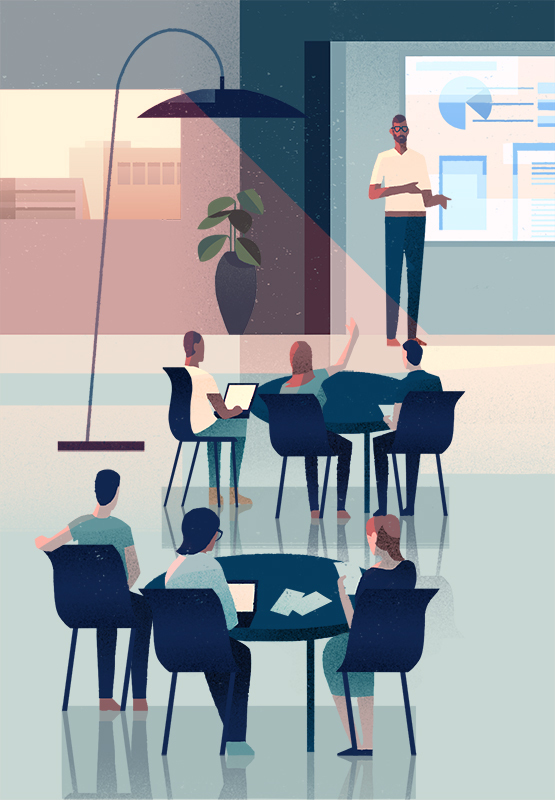 Mark was briefed to create illustrations of modern and relaxed working environments, which he did beautifully in his graphic, textural style. To see Mark's portfolio, click here. Mark Boardman is represented by Meiklejohn. Published on 12 July 2018.